The extreme operating conditions of the space environment combined with lack of access for repairs and zero tolerance for failure necessitate intensive qualification of electronic parts used in space missions. Mini-Circuits has a successful track record of screening components for space applications, and our experience in this area has led to robust testing and qualification programs for the parts we supply for these systems. Qualification requirements for space applications vary by program, materials and component type. 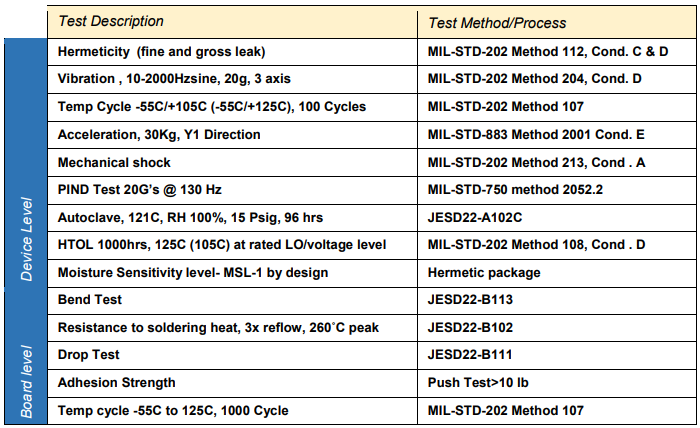 Mini-Circuits offers a wide variety of hi-rel, ceramic components capable of meeting space level screening requirements. 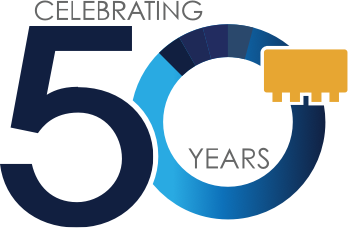 These include our extensive line of LTCC filters and diplexers, couplers, splitter/combiners and baluns, as well as a broad selection of amplifiers, mixers, limiters, and attenuators utilizing our hermetic LTCC packaging platform. This article will present examples or “case studies” of components supplied for space systems and describe typical qualification processes used to screen each of these product groups for spaceborne systems. These examples highlight Mini-Circuits’ advanced capabilities in meeting qualification requirements to ensure high reliability for space missions, but they are by no means an exhaustive representation of our capabilities. We invite you to contact our applications team (apps@minicircuits.com) to discuss the specific requirements of your program. 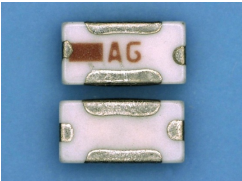 Mini-Circuits’ LTCC passive components utilize rugged, multi-layer ceramic construction to achieve both extremely tiny size and outstanding reliability in harsh environments, making them excellent candidates for hi-rel applications. Our line of LTCC products includes an extensive variety of filters (high-pass, low-pass and band-pass), diplexers, couplers, splitter/combiners, 90° hybrids, and balun transformers, all available for space-level screening. This section will present a case study of the qualification process for an LTCC low pass filter to meet screening requirements for a particular spaceborne system. The LTCC filter screened in this case is a modification of standard model LFCN-8400+. This is a 7 section filter with a passband from DC to 8400 MHz and RF input power handling up to 8W. The unit comes housed in a 1206 ceramic package with an operating temperature rating from -55°C to +100˚C. Beyond the standard electrical and environmental ratings of the part, the special model satisfies a series of special screening requirements defined by a particular space flight program. The requirements include a material restriction that the unit terminations be constructed with tin-lead finish with a maximum tin content of 97%. This is a standard requirement to prevent tin whisker growth. The special part also satisfies a date code restriction that shipped parts may be from a maximum of two lot date codes. If parts from two lots are shipped, one lot must be from new production and both lots must have passed screening independently. Destructive Physical Analysis (DPA) is required on sample units from lots used for production to verify construction and termination composition. Units must also undergo a rigorous program of reliability testing including real time radiographic inspection in three views. 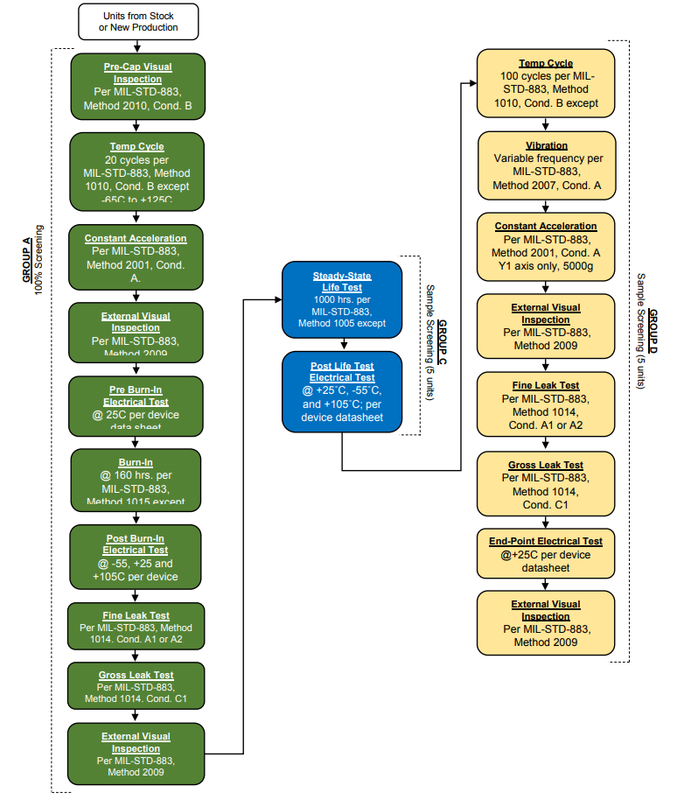 The full qualification process performed to meet the program requirements is summarized below. Prior to starting reliability testing, DPA is performed on 3 randomly selected sample units to verify the construction and termination composition on the lot to be used for production. 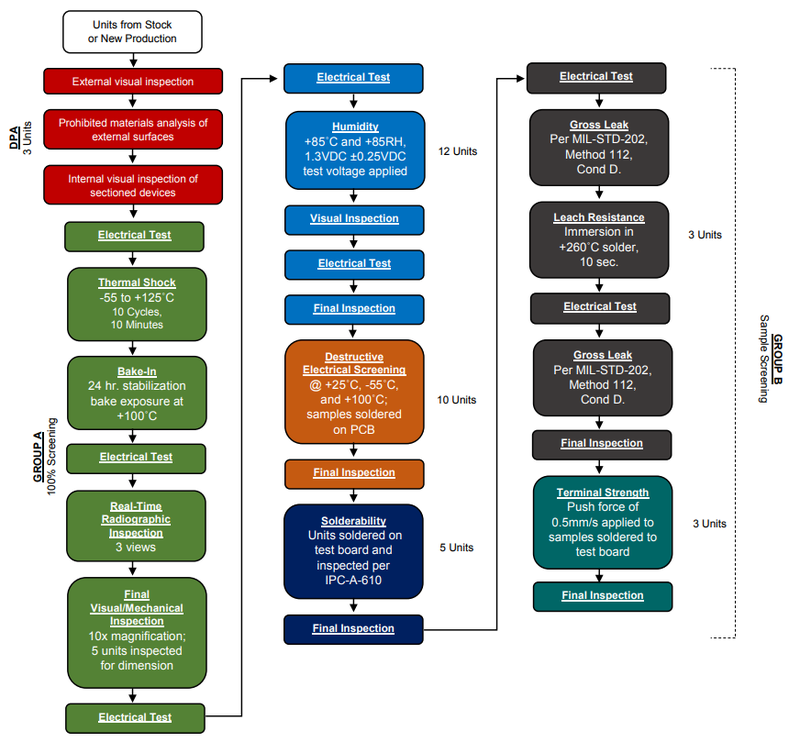 MIL-STD-1580B is used to establish a general process for performing DPA on the units under test, but because pass/fail criteria for LTCC units are not defined by the standard, it is used as a guideline, and the units under test are compared to determine if there are any apparent anomalies. 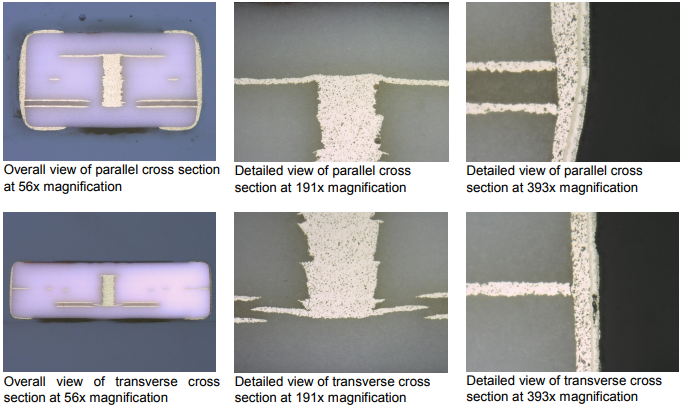 Photographs from external and internal examination of the sectioned devices are shown in Figure 1 and Figure 2. The DPA pass/fail criteria are summarized in Table 1. 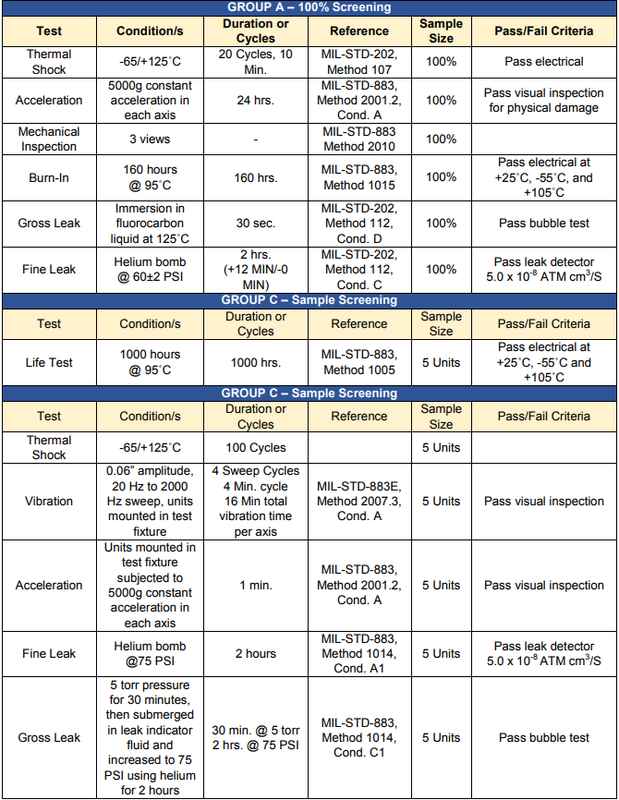 Following DPA, reliability testing consists of testing at 100% (Group A) and small sample testing (Group B) for a number of parameters summarized in Table 1. Figure 3: Qualification flow for LTCC low pass filter for a space flight program. Mini-Circuits has highly sophisticated systems and processes for ultra-high reliability ceramic, hermetically sealed packaging which is adaptable to a wide range of components including amplifiers (CMA-series), attenuators (RCAT-series), limiters (CLM-series) and mixers (MAC- and MRA-series). Utilizing LTCC ceramics, multilayer distributed circuitry, and automated processing, our flexible platform is suitable for integration and designs employing mixed technologies. For example, Mini-Circuits’ MAC-series of hi-rel mixers incorporate diode quads utilizing semiconductor IC technology on GaAs wirebonded to baluns embedded in an LTCC multilayer substrate (see Figure 4). The diode quads are then hermetically sealed in a controlled nitrogen atmosphere with gold-plated covers and eutectic AuSn solder. The same packaging platform is adapted to realize ultra-high reliability amplifiers, attenuators, and limiters as well. This packaging platform provides advantages of very low parasitics and thermal impedance, very wide operating temperature range, and outstanding reliability in extreme environments. 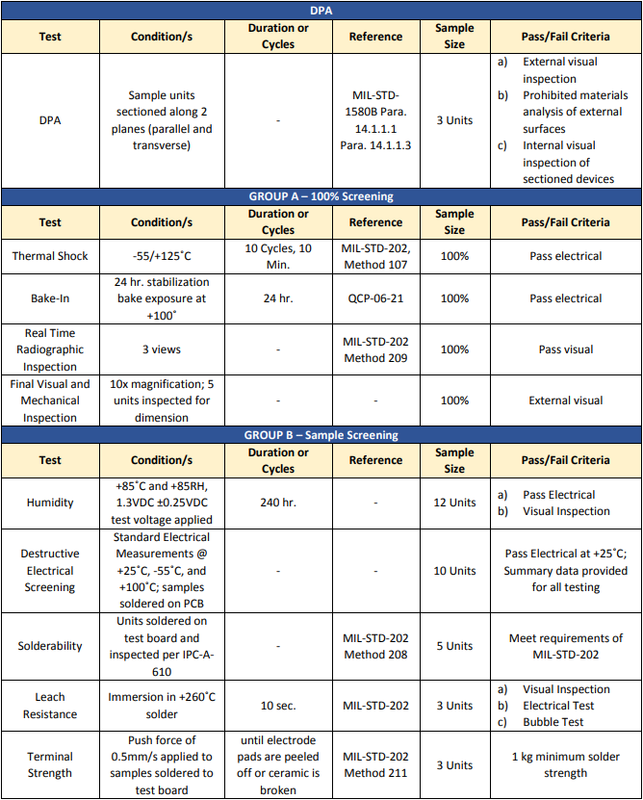 All Mini-Circuits’ hi-rel ceramic components are qualified to meet a whole battery of reliability standards shown in Table 2. These hermetic LTCC components are capable of meeting additional space level screening requirements and are available for screening. A case study of a ceramic, hermetic amplifier screened for a particular space flight program is presented in the next section. 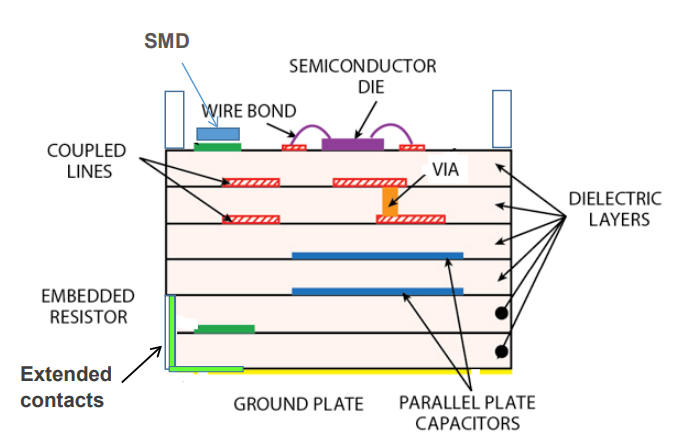 Figure 4: Mini-Circuits hi-rel ceramic packaging platform incorporating a semiconductor die wirebonded to an LTCC multilayer substrate. Mini-Circuits’ CMA-series of hi-rel ceramic amplifiers comprises a selection of standard catalog models with various combinations of performance parameters to meet different system requirements. All models utilize ceramic, hermetically sealed, nitrogen filled packaging to achieve outstanding reliability, operating temperature range from -55 to +105˚C, low inductance, and excellent reliability. Figure 5: Qualification flow for CMA-series amplifier for a space flight program. The qualification processes presented in this article meet the requirements for two different components used in space flights. Requirements vary widely depending on many factors including the component type, materials, and other details specific to the flight program. Mini-Circuits has successfully screened hi-rel components for a range of space flight requirements, and through this experience we have established robust qualification processes support these demanding applications. Beyond the two examples shown here, Mini-Circuits has hundreds of hi-rel components available for space-level screening. A full listing of these components is provided in the appendix, and we encourage you to browse our offering. For more information about qualifying parts for space applications and to discuss your project needs, please contact our applications team at apps@minicircuits.com.